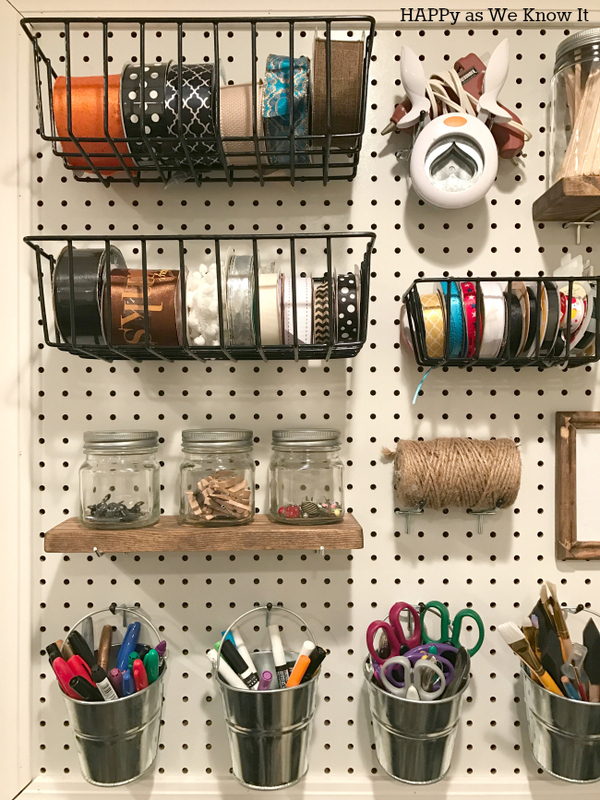 There are a ton of these pegboard tutorials cropping up lately across blogs, Pinterest, etc. Seeing as my husband and I are people who follow directions really well, we are grateful to those individuals who put the hard work in on the front end to not only give us the idea but a clear path as to how to create it. 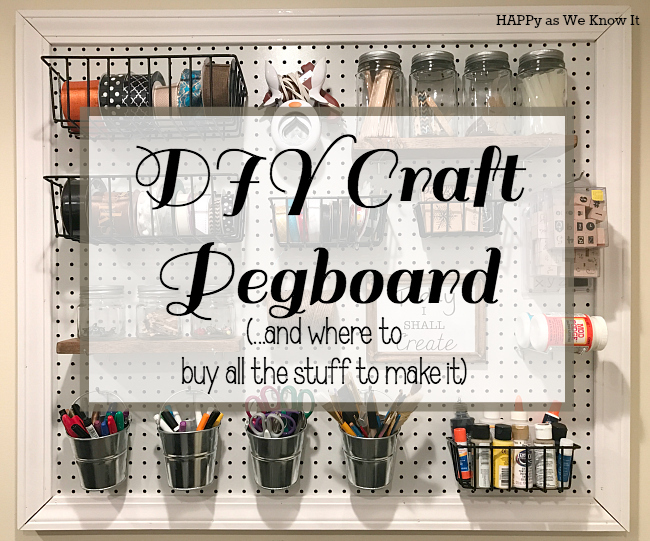 Thus, I will not be spending a great deal of time in this post talking about how we made it - as there are plenty of ideas out there for that - rather, I will share that which took me the bulk of my time - determining how to organize the board and where to buy what I was going to put on it. 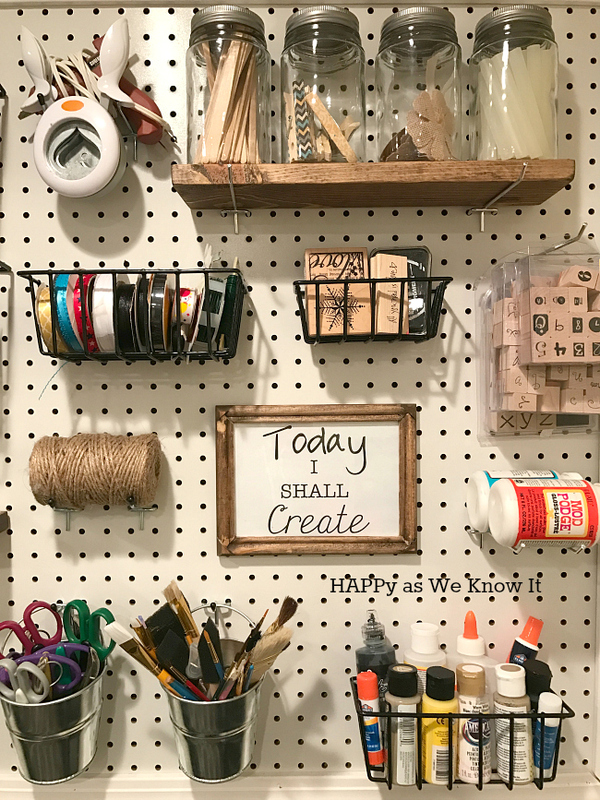 To create our board we more or less followed this tutorial from Ginger Snap Crafts (which I would highly recommend). 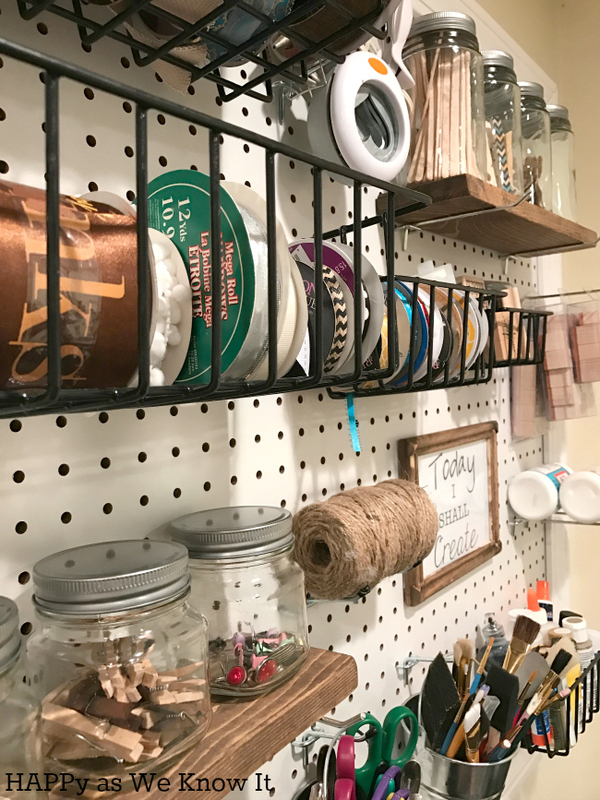 The most important thing that I took away from her tutorial was that we needed to create a frame for our board first so that there was space between the board and the wall for the hangers to go. 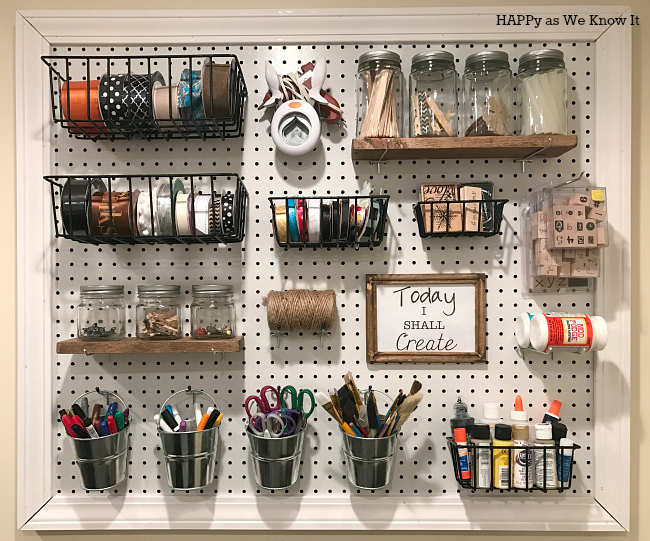 We went ahead and created our frame with the cheapest 1 X 2's we could find and then screwed the frame and the 4 x 3ft pegboard into the wall. From there, we added the trim while it was already hanging with a nail gun. In the tutorial, she painted both white after to ensure they matched exactly. To save time (and let's be honest, energy), we skipped this step, and I think it looks just fine. Here is a side shot of the board so you can take a gander at the different layers. Molding for the frame - We literally bought the cheapest white stuff we could find at Home Depot. Once the hubs got the board on the wall, I set to my work of organizing. The process reminded me a bit of putting together a gallery wall (for those of you that are familiar with this), there is definitely an art to spacing and getting creative in getting as much up there as possible. 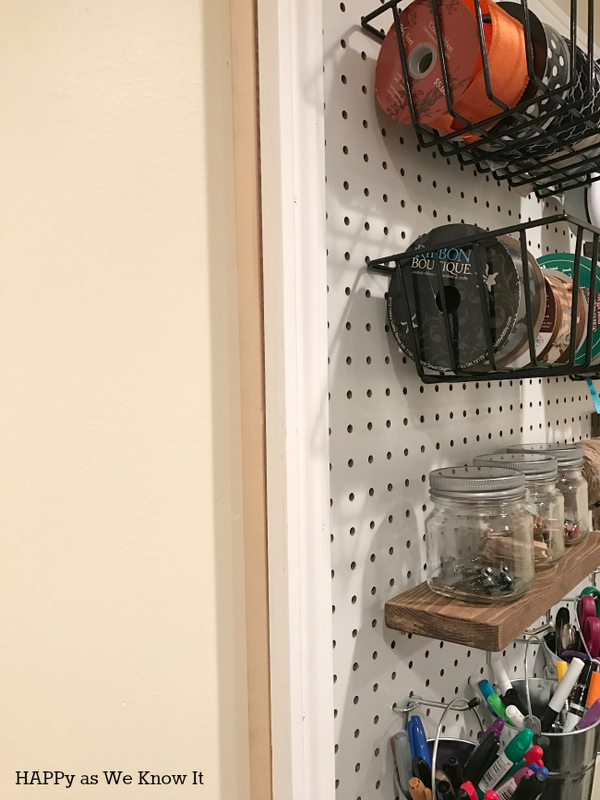 Baskets, shelves and hooks were definitely my best friend. Wood Shelf: We used leftover wood we had on hand and stained it with this.